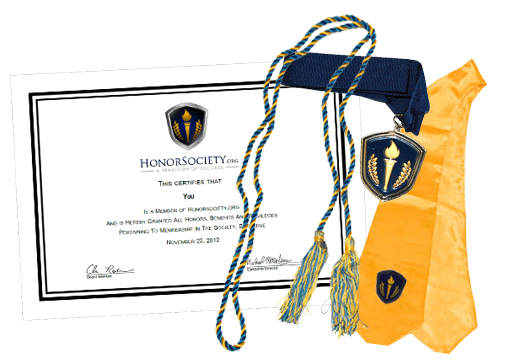 The Honor Society Core Value Scholarship seeks to reward a member who is a shining example of our society's core values. 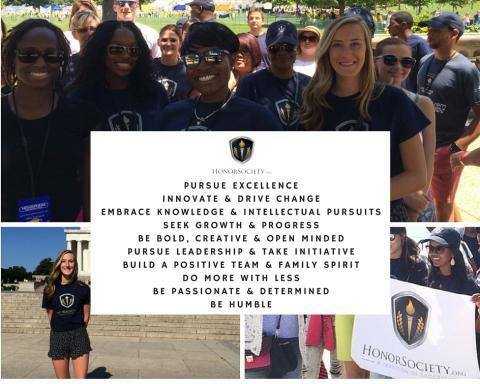 A member can exemplify one or all of the core values...as long as they describe how they feel they fit the core value of their choice, they are an eligible candidate for this scholarship. Tell us how you fit our core values, (which one specifically), what it means to you. Ex: "I feel that I exemplify the 'Humble' core value, as my work in soup kitchens has shaped..."
Up to 500 words describing the relevance of the Core Value you exemplify to your life and/or goals. Based on academic achievement (GPA, honors and awards) and holistic applicant factors (leadership positions, community service, etc). Rubric will be used to score applicants. If there is a tie, winner will be selected at random from tied applicants.